We started off with someone going back in time and altering Santa’s past. You went back in time to correct it, but the device to fix the problems hadn’t been calibrated before sending you on your way. You calibrated the device on Day 1. On Day 2, we located the boxes in the warehouse where the new (500 years ago) Santa suit material is. We sliced and diced the material on Day 3, finding the best piece to use. We figured out the best time to sneak into the Santa suit lab on Day 4. The code for this operation is relatively short. As you may have noticed from previous days, I like to do the code is small pieces where they can be explained. Today, I’ll break from that and show all of the code, and then explain it. After declaring and initializing some variables, load the file into a variable. Since this example doesn’t have rows of data, I don’t need to split the data into rows. Store the size of the data so that we can break out of the WHILE loop. Entering the WHILE loop, we do two case-sensitive replaces. By default, SQL Server is case-insensitive. To do a case-sensitive replace, we specify a case-sensitive collation to work with. In the collation used (“SQL_Latin1_General_CP1_CS_AS”), the “_CS_” identifies that this is a case-sensitive collation. In the SELECT statements that do the replace, I’m using a table value constructor to create a set of numbers. I know that I’ll only be working with 26 letters, so I create a table with those 26 numbers. Next, the CROSS APPLY converts the numbers into upper-case and lower-case letters. Then the REPLACE function searches for these characters. The first replace looks for Upper\Lower, and the second looks for Lower\Upper. After performing the replaces, we get the new size of the string. If it’s the same size as what we started the loop with, then the WHILE loop ends. Finally, we return the ending size of the string. When working with recursion, you MUST have a break, or it will run forever. In part 2, we need to identify which unit type could be removed from the polymer to reduce the polymer to the lowest size. This entails removing all occurrences of a unit (upper and lower case) from the polymer, and then running the process to see which unit produces the smallest polymer. I added another WHILE loop to cycle through each letter. The new WHILE loop goes through each letter, removing all occurrences of it, before starting the recursive replace. At the end of the new loop, store the polymer size. After processing all letters, we see which letter (when removed) produces the smallest polymer. Case-sensitive and case-insensitive string operations. Utilizing a table value constructor. #1 | Pinged by Dew Drop – December 6, 2018 (#2854) – Morning Dew about 4 months ago. 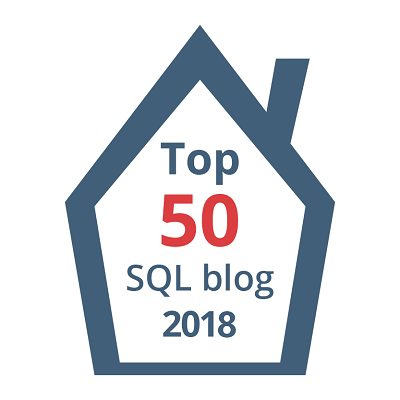 #2 | Pinged by Continuing The Advent Of Code In T-SQL – Curated SQL about 4 months ago.